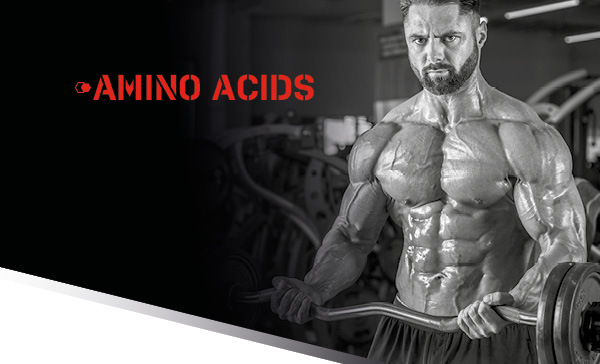 L-arginine is the amino acid with the highest proportion of nitrogen and it is an important part of a complex protein. An appropriate protein intake can ensure the recovery of the skeletal muscles, provided that the nitrogen balance is maintained. L-arginine is the amino acid with the highest proportion of nitrogen and it is an important part of a complex protein. An appropriate protein intake can ensure the recovery of the skeletal muscles, provided that the nitrogen balance is maintained. Combining the amino acid L-arginine with alpha-ketoglutarate or 2-oxoglutarate also creates a higher form of L-arginine. Athletes seek this product in particular for the synthesis of nitric oxide (NO) and the associated better vasodilation. Vasodilation is the widening of blood vessels through which blood flow increases and it improves the supply of oxygen and nutrients to the muscles, which can then operate at a greater intensity. In one monodose of AAKG 7500 from the NUTREND company you receive more L-arginine than you can get from 100 g of dried egg white or 150 g of lean beef or turkey meat. Recommended dosage: 1/2 monodose (indicated by a mark on the label), 30 minutes before the physical performance. Do not take the product at bedtime. The maximum daily dose is 12.5 ml. Do not exceed the recommended dosage. WARNING: Food supplement, with sweeteners. 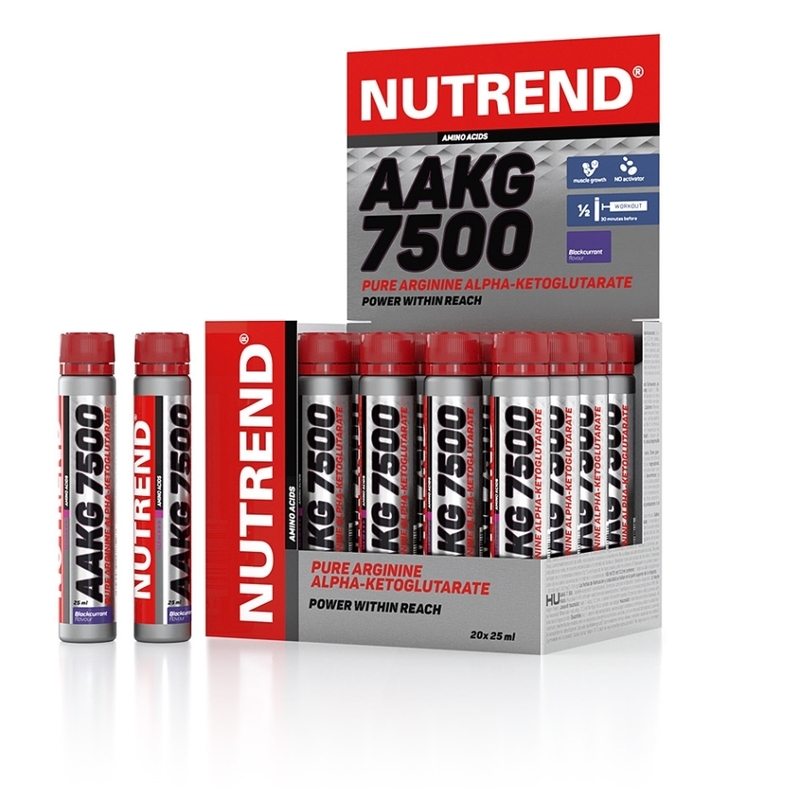 Formulated especially for athletes. Does not replace a varied diet. Not intended for children, pregnant or nursing women! Keep out of reach of children! Store at a temperature that does not exceed 25 °C and away from direct sunlight. Do not freeze. The producer is not liable for any damage caused by improper use or storage. Ingredients: water, L-arginine-alfa-ketoglutarate, acidity regulator citric acid, preservative potassium sorbate, blackcurrant emulsion (flavouring, colouring agents E 122 - may have an adverse effect on activity and attention in children and E 133), preservative sodium benzoate, sweeteners sucralose and acesulfame K.